Since I am not the guy who lies in the hot sun for hours at a beach, I prefer to use my time to read on my Kindle or take photos. 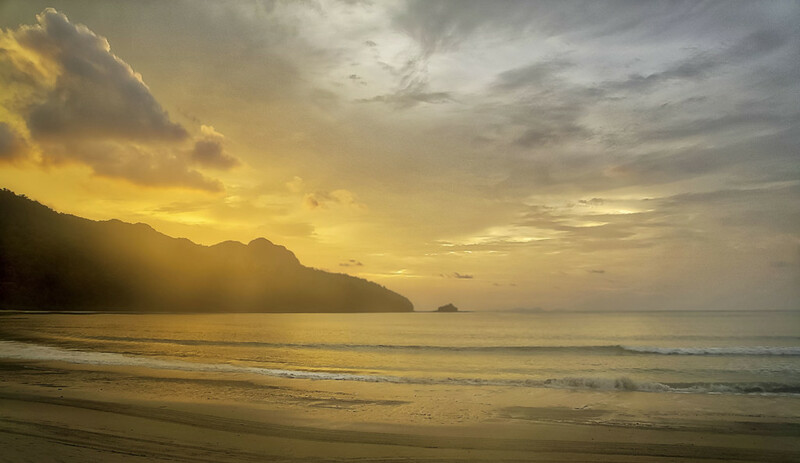 The evenings in Langkawi often have intense colors for sunset shots. The Andaman Beach Hotel lies in the rainforest and is an ideal destination for those shots. No room is longer than 5 minutes walking distance away from the beach and the sunsets. On the way, you’ll see some monkeys or sloths on the trees.